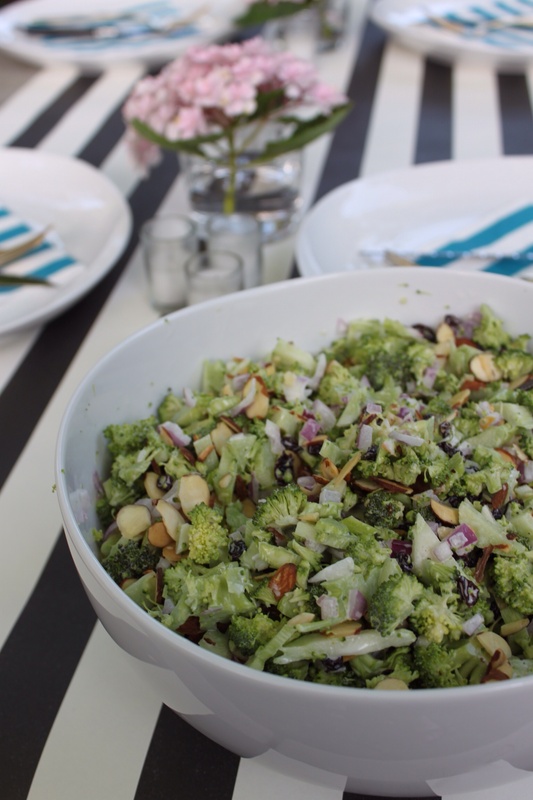 Here’s a refreshing new picnic salad for your dinners, picnics and traveling meals. It’s light, tossed in buttermilk, has a nice bite from onion and sweet chew from dried currents (thanks to Margaret’s endless supply). This is perfect for dairy eating vegetarians and a nice alternative to another salad with dinner.